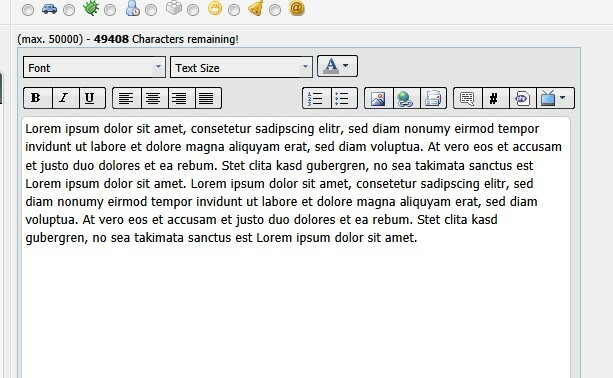 Displays the input characters below the editor. MyBB 1.8: If the min message length is reached it shows the max. 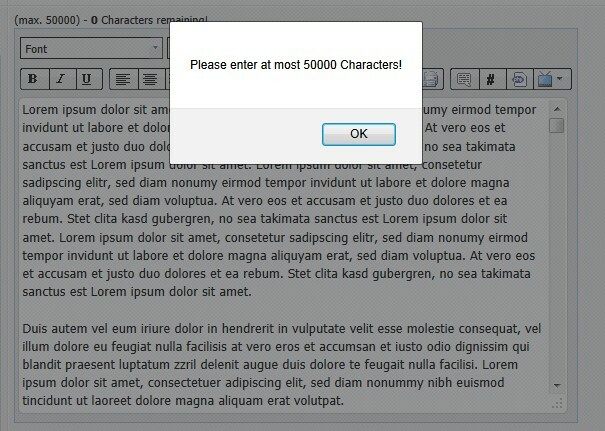 message length, the input words and characters and the remaining characters (before you reach the max. message length) below the textarea. Go to your "Admin-CP: Configuration - Plugins" and click "Activate" behind "Character Count"
Upgrade from v1.3 or older. GO TO YOUR "Admin-CP: Configuration - Plugins" and DEACTIVATE THE OLD VERSION OF THE PLUGIN!